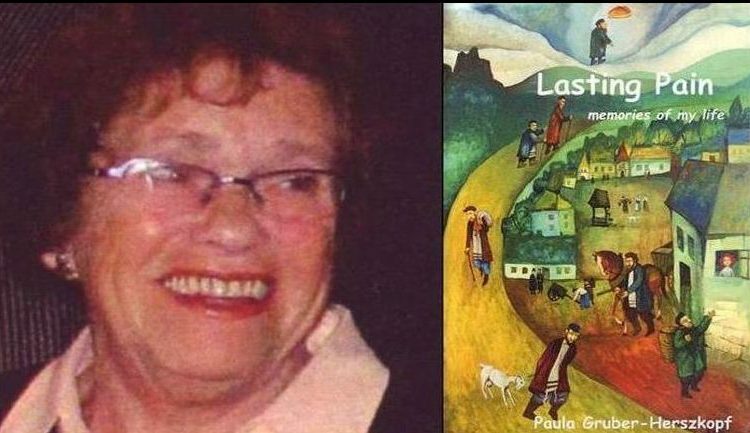 Lasting Pain published at amazon.com is the extraordinary autobiography told by historian Paula Gruber-Herszkopf. As the youngest daughter of a warm Jewish-Orthodox family, she survived the atrocities of the Second World War. From the first day of the war when German troops invaded her hometown Sosnowiec her sufferings began. These lasted for almost six years until she was liberated from a labor camp by the Red Army on the last day of the war in Europe. In these horrifying years she not only lost most of the members of an extended family including her parents and grandparents, all of her brothers and sisters, uncles, aunts, nephews and nieces, but after a very fearful period of hiding, she was betrayed, caught by the Germans, and imprisoned in Auschwitz. With the Russians nearing the area, she was evacuated to a forced labor camp in Silesia where she survived and saw the end of the war. After these traumatic experiences during the war, her struggles were far from over in Stalinist post-war Poland where antisemitism had survived the war in spite of the fact that nearly all Polish Jews had been killed. Another kind of survival was necessary to lead a more or less normal life, a life in which she met her husband Szymon Gruber, lost her first child during delivery and finally gave birth to a healthy child, Ewa. Defying communism and antisemitic campaigns in Poland in the fifties and the sixties, the family finally left the country after a severe outburst of antisemitic measures propelled by ‘anti-Zionist’ propaganda under Władysław Gomulka (1968-1969). Jews were accused of disloyalty towards the Polish nation, and of being members of the ‘Fifth Column’ (aiming at overthrowing the regime). The main reason for their flight however, was that they feared that there would be no future for their little daughter Ewa in this country. In their new homeland Holland, they finally found some peace in spite of the fact they had to rebuild their lives once all over again.